A fashionable writing tool for everyday use, Galison's Indigo Pen Set is a lovely addition to any home office or desk. 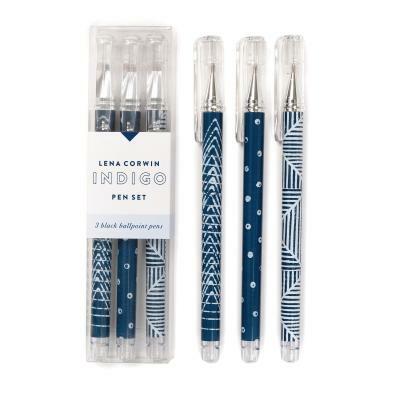 The set of three black ballpoint pens are styled with striking indigo-colored patterns designed by textile artist Lena Corwin and packaged in a clear acetate box. Each pen features a unique design.